I first heard about putting out a teal colored pumpkin last year after I had taken my kids trick or treating and I knew that I would be participating this year. 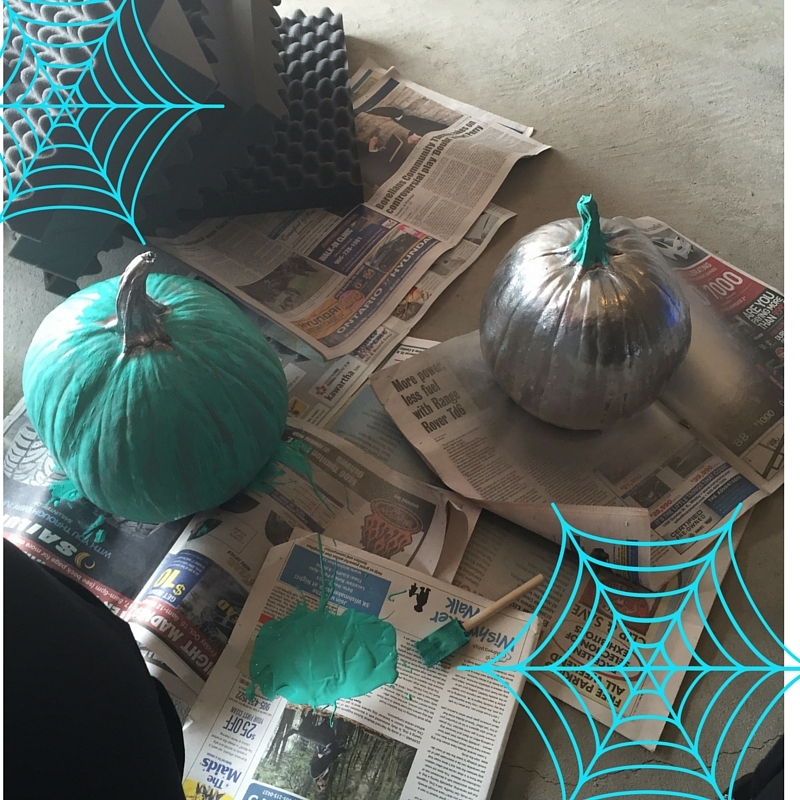 It is super simple – paint a pumpkin teal and offer non food items for treats on Halloween! We are fortunate that Shane and Aria do not have any allergies so I never really put much thought into what I gave out. I can imagine that Halloween is a pretty scary time for parents of kids with food allergies. By having a teal pumpkin out kids with allergies and their parents who are walking around they will know that there is a special treat at my house they can take home safely. I just painted my pumpkin with dollar store paint. It was easy and fun for the kids to get their hands messy. Happy and Safe Halloween everyone!